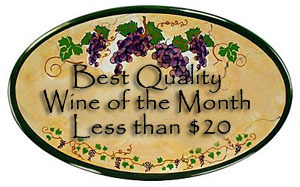 Synopsis, Our Opinion: It can only be described as AWESOME Pinot Noir!!! 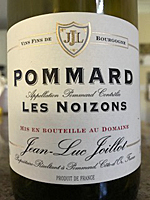 Producer/Winery: Jean Luc Joillot; Domaine Jean-Luc Joillot; Pommard, France. Geographic Appellation,, Region, Country: Pommard; Burgundy, France. Paired With: Pan seared sesame seed crusted tuna steak with ginger/soy sauce with scallions, oven fried potatoes and peas. Opened one hour before drinking. Clear, ruby color with a brown tint and the same color rim. 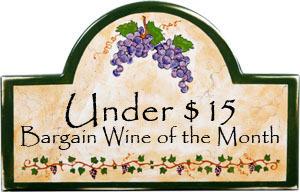 Rich damp earth, mushroom, ripe cherry and raspberry aromas with occasional whiffs of freshly toasted bread. Smooth entry, very approachable, light-medium body and a 200-grit texture. Fleshy ripe tart cherry, cranberry and plum flavors, but with a subtle cinnamon spiciness that starts about mid-palate and continues through the after-taste. Edgy acidity, very well integrated round edged tannins that slowly develop grip in the long fruity and mouth filling finish. WOW, WOW, WOW we had this at a November 2014 Caviste Wine Shop wine dinner and thought it was spectacular. This is a bottle we bought at that wine dinner and are just opening now and it’s even more spectacular!!! It had a light mouthfeel, but was more powerful Pinot Noir than we remembered, but so well integrated…the bouquet just flows into the taste and the finish is nothing short of perfect. EXCELLENT paired with the tuna and equally delicious sipping after the meal. We clearly did the right thing holding this wine for a few years, it can only be described as AWESOME Pinot Noir!!! 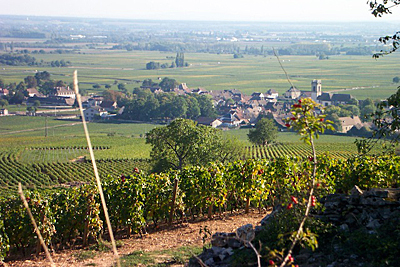 Photo from Domaine Jean-Luc Joillot. Comments: Learn more about Domaine Jean-Luc Joillot and their wines. Imported by: P. Comms Int. ; Waynesville, North carolina.